Ok this is what my bicycle usually looks like during the winter in Sweden. I have LEDs both back and forth...and an additional LIGHTSTER from Sigma which is totally awesome!! Gives me plenty of extra light when I ride. I don't think I'm blinding any facing motorists, at least not according to the company Sigma. Hello fellow riders of the electric rage. The weather in the upstate New York this time of the year pretty much excludes transportation via bike without exposure to excessive risks. At nearly 61 years old, my tolerance and abilities are changing with regard to cycling in extremes. It makes me jealous though, whenever I see people braving their passage, commuting via bicycle in spite of the adverse elements. 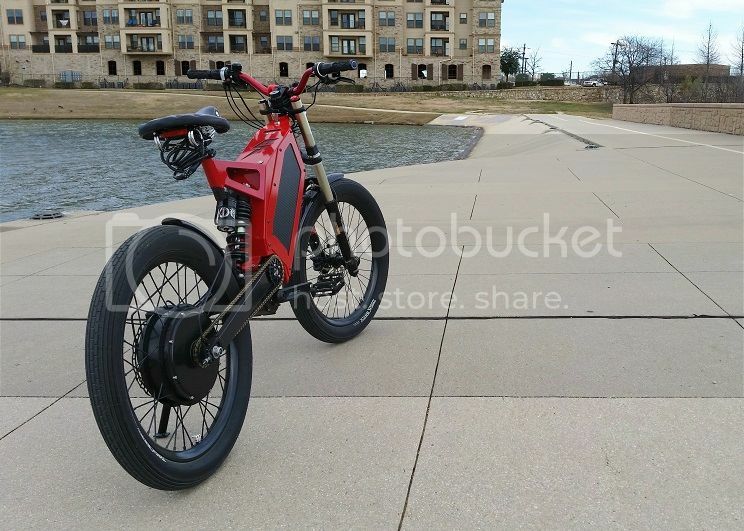 Until Spring, I will only be commuting on my non-E-bikes, and only when the weather is above 30 degrees. Yeah, I know Wuss! The700 x 35; psi 75-100; -should be an improvement for wear and roll. Really nice, clean looking bike bikerjohn. Looks like a joy to ride, when there's not 8 foot on snow on the ground lol. I like your fenders too. The wrap around chain guard is a great feature too. It kept the chain and my clothing remarkably clean. I did notice that, but I forgot to mention it. 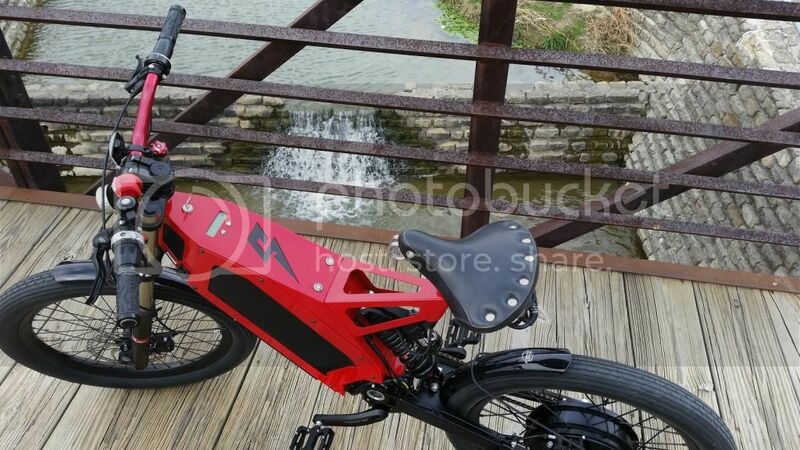 That's a nice feature to have on an electric bike. Next up is the BH NEO Xtrem. Two selected for this, not because of their quality, but because they are an accurate portrayal of how the bike always looked after just about every single ride. The KTM also looks just the same. There is no point owning an off road bike, only to keep it clean and never use it off road. This photo was only chosen as it was the one and only time that I used the bike at an event. The chain is off in this shot, which is a very common problem with the this style of Bosch motor. It made off road use a complete pain in the backside. The bike didn't finish the event due to three pinch flats which destroyed the inner tubes. I never used the Haibike again at off road events. Holly cow batman, that's a great picture !! The KTM photo is an interesting one. The day was fairly damp, and my camera refused to work, so I opted to use the phone instead. I hadn't realised at the time, that the lens had misted up as well, and the photo as taken, was the result of the misted lens. It almost looks like a painting. Here is another from almost the same location. The ruins of Corfe castle are in the background. Sadly I didn't get a chance to even glance at the castle as we rode past. I should also have added that the Haibike photo was taking about thirty seconds or so before a 30mph plus potential ramming session into another rider. We were both really going for it, but had wrongly predicted the speed of a rider who was further in front and much slowly. How we all didn't have a big pile up I have no idea, but it made for a lot of laughter when we got to the bottom of the hill. Absolutely wonderful pictures, bikes, scenery, rider, it all is beautifully composed! Beautiful pics, I saved the top one. Here are two other photos that I took at the same time. It was an amazing place to ride, and we pretty much rode most of the hills that you see on the horizon. My bike looks too pedestrian compared to these off road beasts. Joe, I'm sure that's not true. Any bike from the right angle, and composition will look good. It's a fun game trying to find it. You just have to use your imagination, and it helps to take a lot of pics. Most will look completely pedestrian until that one pic pops, and you know it's the one. I take a lot of pics of my bike that look like crap.